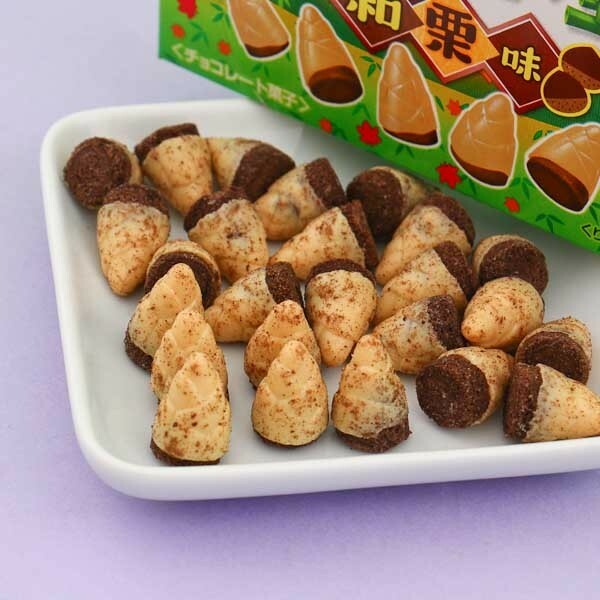 Takenoko no Sato is a small, bamboo shoot shaped biscuit, coated with different flavored toppings! 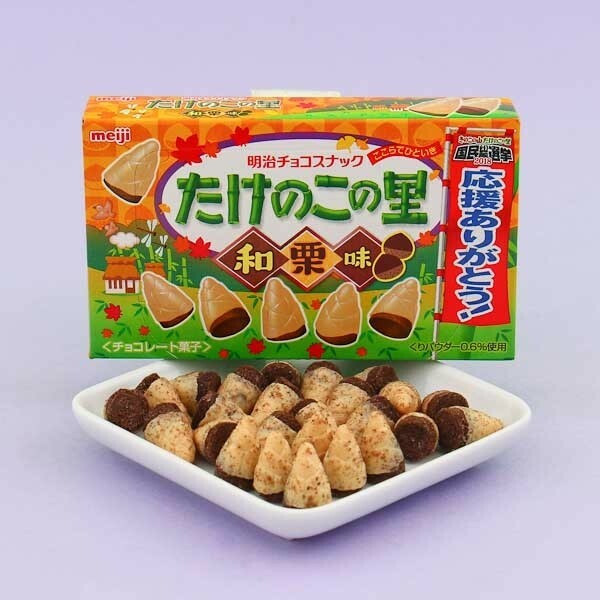 These bamboo shoots come now in delicious, limited edition autumn flavor! Takenoko no Sato is a companion product to Meiji's super popular and delicious mushroom shaped Kinoko No Yama cookies, which have been sold in Japan for over 20 years! Package has a front-lifting lid and inside there is a foil package of treats. Oishii!